The brand is debuting the 450g branded Barratt Halloween Bucket. 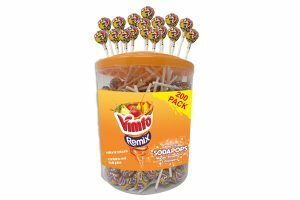 With a mix of consumer favourites – the bucket includes Refresher Rolls, Dip Dabs, Mini Wham Bars, Mini Fruit Salad Bars, and individual 30g bags of Dolly Mix, Cola Bottles, and Shrimps and Bananas. 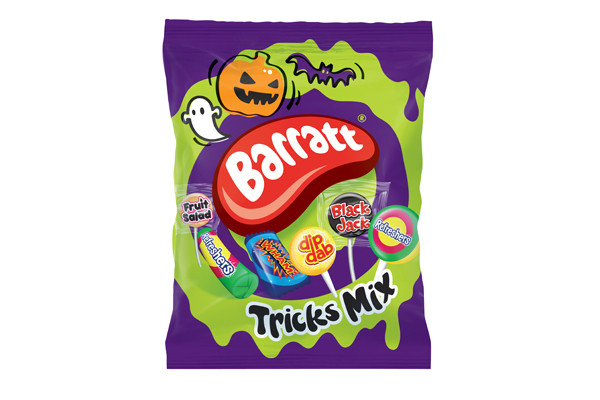 Following the success of last year’s bag format sales, Tangerine is also providing retailers with the Barratt Halloween Bag (180g), featuring a mix of retro heroes, including Dip Dab lollies, Fruit Salad lollies, mini Refresher rolls, and mini Wham chew bars. The popularity of the Halloween Bag format has accelerated year on year, with an 8.2% sales growth in 2017. 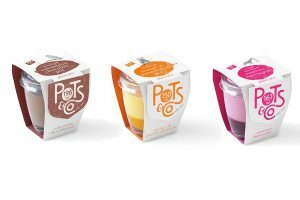 Relaunched this Halloween with revamped artwork, Tangerine has streamlined the mix of sweets to ensure the most loved brands are at the forefront. The Halloween Bag format is said to be perfect for consumers to share with family and friends at spooky-themed gatherings, and provides a range of options for everyone. 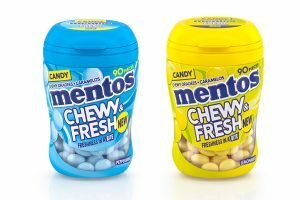 Russell Tanner, marketing and category director at Tangerine Confectionery, says, “The Halloween confectionery market has grown by 34% over the last two years, and we don’t expect this growth to slow down. Last year we saw sales of our best-selling Halloween Bag fly off retailers’ shelves, and we’re expecting this year’s Halloween range to be even more successful.